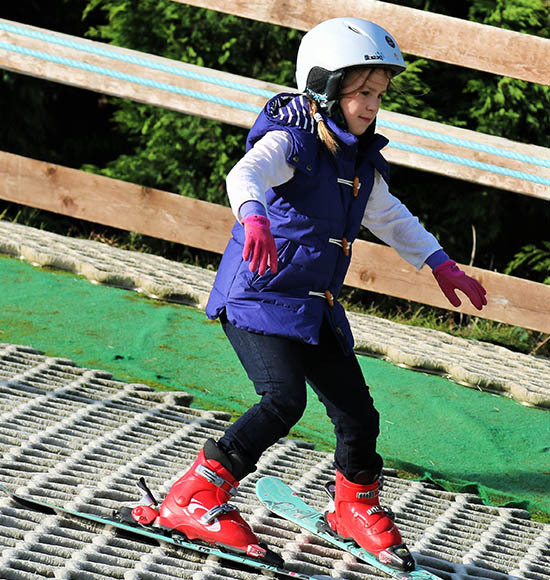 We have 3 fabulous options for parties; skiing, donutting or snowboarding. You can find details of all of these below. We don’t offer any form of catering, although chocolate, and hot and cold drinks are available. However, if you wish to bring refreshments with you, we do have a couple of picnicking areas which can be hired for a small fee (£20 for 30 minutes) after your chosen activity. 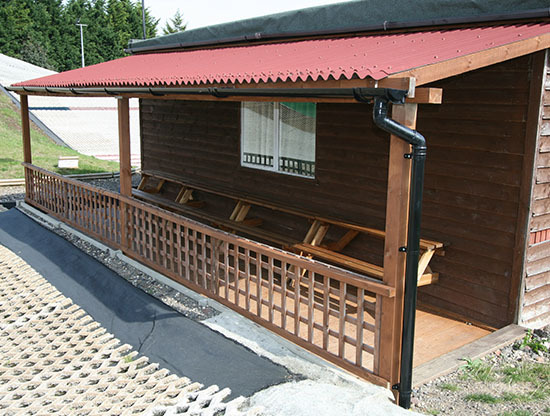 We have an excellent covered area where you can eat cake AND laugh at all the fun! We also have a set of picnic benches out in the sun, for the rare occasions when it appears! If you want an easier option than bringing food with you, ordering take away pizza to be delivered has proved quite popular, and we do have a discount arranged with our local Domino’s branch. Please phone us on 01483 504988 to discuss your individual requirements and we will do our best to create a fun, memorable event for you. We’ll do you a group lesson with an emphasis on fun. This is a structured session with an instructor and works best if everyone is of a similar ability – if one person is a beginner, we all have to be beginners. Minimum age 9 years (10th birthday). When you send the invitations out, please ask for age, weight, height and shoe size, and e-mail us this information on the Group Booking Form. If we have this information before the lesson, it speeds up the kitting up process and allows longer out on the slope. Please note that a safety chat and kitting up time is included in the hour, so an hour’s lesson will not be a whole hour out on the slope – if this is an issue ask for an extra half hour. For more information on group lessons please visit the Groups Section of our Skiing Page. Our most popular birthday party activity. 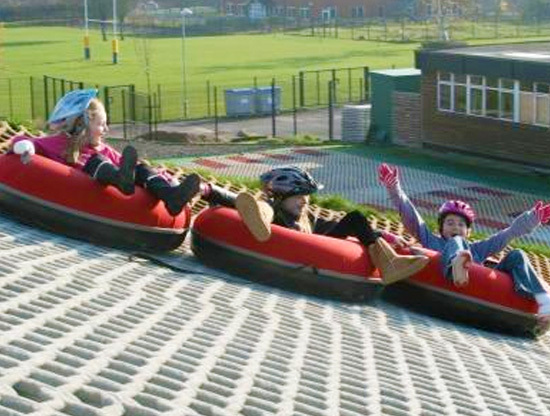 This activity is great fun and involves sliding down the slope in a rubber ring. Great for any birthday from 6 years up (6yr old party we WILL allow 5yr olds). Available 7 days a week, daytime and evenings, £140 will get you an hour’s exclusive use of the donutting slope for up to 10 people. Additional participants are £10 per head, maximum number is around 20 (15 for under 8’s), but flexible. Under 16s must bring, and wear, a helmet of some description. For full details on donutting please visit our Donutting page. As with the skiing session this is a structured session with an instructor. It’s ideal for a small group of teenagers who want to do something “cool” and different. Minimum age 12 years, maximum group size 6. Please note that a safety chat and kitting up time is included in the hour, so an hour’s lesson will not be a whole hour out on the slope – if this is an issue ask for an extra half hour. Please visit our Snowboarding page for further details on snowboarding. The cost is the same as for snowboarding private tuition, for prices please see our Pricing page.